Anthony Scaramucci, who served as President Trump’s communications director for less than two weeks, is on the Fletcher School advisory board. President Trump dropped Anthony Scaramucci, his fast-talking, often profane communications director after less than two weeks on the job. Now, some students, professors, and alumni at Tufts University are seeking to have Scaramucci removed from the advisory board for the institution’s Fletcher School of Law and Diplomacy, a position he has held since June 2016. An online petition to oust Scaramucci, a 1986 Tufts graduate known as “The Mooch,” has drawn more than 240 signatures, and students have raised questions about his membership with administrators during informal lunches this fall. 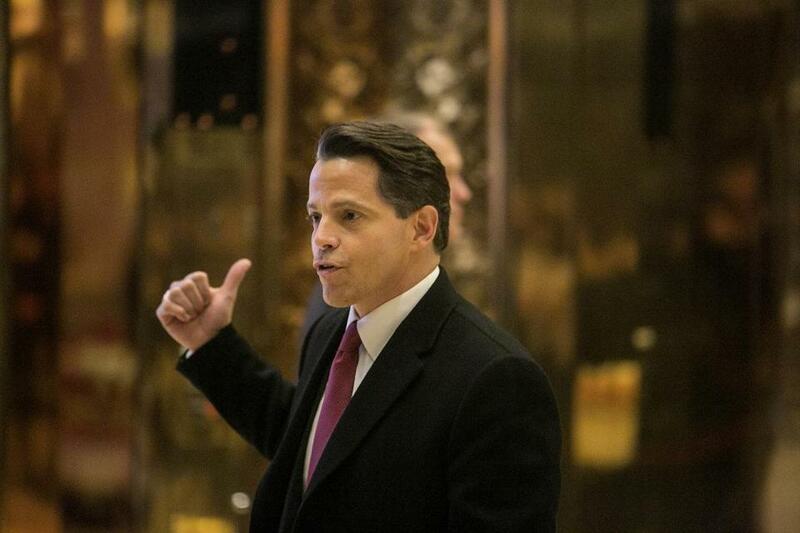 On Monday, the student newspaper, The Tufts Daily, ran an opinion piece questioning the university’s decision to have Scaramucci serve on the panel. While Scaramucci said the poll was meant to educate his social media followers about the Holocaust, critics saw the question as pandering to Holocaust deniers by stirring debate about the genocide and its death toll. Scaramucci said he had not seen the poll before it was posted and had it removed immediately. Scaramucci on Monday did not respond to requests for comment via e-mail and social media. Collins said advisory boards to individual schools at Tufts have no financial responsibility. Each board has dozens of members and they offer suggestions and advice to the deans, he said. “No one advisor’s voice, regardless of the perspective it represents, determines the policies, actions, or public positions of the school or university,” Collins said in a statement. But some students said that Scaramucci’s actions don’t reflect the values of the Fletcher School, known for educating future diplomats, executives of global companies, military leaders, and foreign aid workers. Scaramucci, a financier and hedge fund founder, has longstanding ties to Tufts, and has previously served on other university boards. The university has featured him at networking events designed to connect students with graduates, particularly in the finance industry. He has donated money to the school, and his son graduated from there a few years ago. But in this politically divided climate, universities are increasingly facing criticism about whom they honor. Earlier this fall, Harvard University’s Kennedy School of Government rescinded a visiting fellowship it had offered Chelsea Manning, an intelligence analyst-turned-whistleblower who spent seven years in prison for leaking classified government documents, after the appointment sparked a firestorm.